Freshaire UV Fresh-Aire UV, makers of the world's best whole-house UV light and activated carbon air purifiers. Team Air Mini-Splits Team Air International is a National Manufacture of affordable Quality Mini-Split Air Conditioning Systems. APCO UV The award-winning APCO system (Advanced Photocatalytic Oxidation) represents an entirely new type of air purifiers. 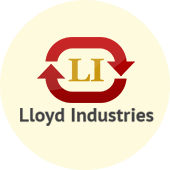 Lloyd Industries Lloyd Industries, Inc. founded in 1981 by William P. Lloyd, is one of the leading suppliers to the HVAC wholesaler market in the United States. 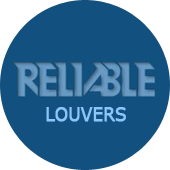 Reliable Louvers Reliable Products is the leader in louver manufacturing for the thru-the wall a/c and heating industry. 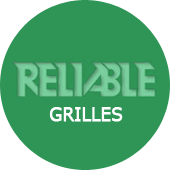 Reliable Grilles Reliable Products is the leader in residential and commercial grilles, registers and diffusers. They specialize in Custom Sizes. Supco Leading manufacturer and master distributor of high quality innovative products designed for the Heating, Ventilating, Air Conditioning, Refrigeration and Appliance Parts Industries. Refco The Swiss company REFCO was founded in 1972 and has successfully evolved from a small company to a world wide renowned supplier of Refrigeration Service Products and Components. Napco NAPCO’s mission is to manufacture proprietary heating elements in the US and supply high quality generic heating elements in conjunction with supporting heater components to the appliance and HVAC service industry.